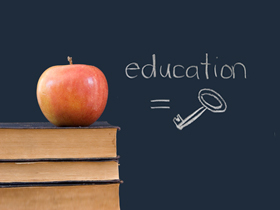 Diabetes prevention: Is education the key and is the right keyhole on school doors? Schools seem to be the ideal place for diabetes prevention programs. So, how can diabetes prevention interventions be implemented in schools? When I was growing up, my favorite uncle had type II diabetes. I did not know exactly what this was but I knew he could not eat certain things (even pasta- something I have since learned that was not absolutely necessary) and that he was using a (scary in my eyes) device to monitor his blood sugar at home. In my young brain, type 2 diabetes was something that happened to old people, prevented you from eating nice things like chocolate and had a strange name (diabetes in Greek also means a compass tool used for geometry). However, I have learned a few things since: a) Type 2 diabetes is increasingly affecting children and younger adults (following a rise in youth obesity – 1 in 3 children is overweight or obese, see for example some recent data on Portuguese youth) b) There are things one can do to prevent it from happening and c) Diabetes has nothing to do with geometry. Given the ongoing increase in diabetes prevalence (1 in 11 adults has diabetes) and the fact that about 90% of diabetes patients have type 2 diabetes, focusing on prevention of type 2 diabetes seems to be the way forward in order to bring this number down. The recently announced “sugar tax” that caused a lot of media attention represents such an effort. I asked people on Social Media what they thought could be done. The few replies that I got seem to revolve around a main point: educate children and if possible do that at school! Indeed, schools seem to be ideal places for diabetes prevention programmes. They could theoretically tackle two of the main diabetes risk factors: obesity and lack of physical activity via nutritional education, provision of healthy eating options and exercise programs. In a report on how to deal with obesity prevention back in 2012, the Institute of Medicine (IOM) has described schools as focal points in dealing with obesity and a Cochrane Review from around the same time showed beneficial effects of child obesity prevention programmes. This review suggests that a school curriculum that includes healthy eating, physical activity seem to be a promising strategy (amongst others). These and other initiatives are very nicely summed up in this Editorial from Lancet. If you are interested in such studies, keep an eye open for the next Cochrane Review on implementation of obesity prevention programs, as a protocol has been recently submitted. This made me wonder whether there are countries where healthy eating curricula or policies are implemented in schools. I certainly do hope that things have at least changed a bit since the time I was a student: I cannot even think of one healthy food option offered in the school shop; there was zero nutritional education; and you could easily skip physical education classes. In the UK for instance, there is some change observed in the food served in some British schools, partly thanks to TV Chef Jamie Oliver’s documentary series 10 years ago. I also wonder if/how such policies can be implemented taking into account more complicated factors such as educational inequalities that seem to affect diabetes-related mortality and low income contexts where there seems to be a rise in diabetes prevalence. I would be interested to see what is being done in schools in other countries. Please share your experience! How can diabetes prevention interventions be implemented in schools? Are you aware of any creative interventions in your country? Or maybe you have some fun ideas yourself? I think I will call my uncle today. As he was never overweight in his life maybe he has some other ideas of how his diabetes could (or perhaps could not) have been prevented. And as he is a language lover maybe he can explain to me why in Greek we use the same word for this disease and the compass tool. Microbiome and the modern environment: a global drift toward dysbiosis? Thomy Tonia is methodologist for the European Respiratory Society and a researcher at the University of Bern. She is also the Social Media Editor for the International Journal of Public Health (IJPH).